Caption slip reads: "Photographer: J. Wyman. Date: 1957-11-20. Reporter: J. Massard. Assignment: Bank Art. 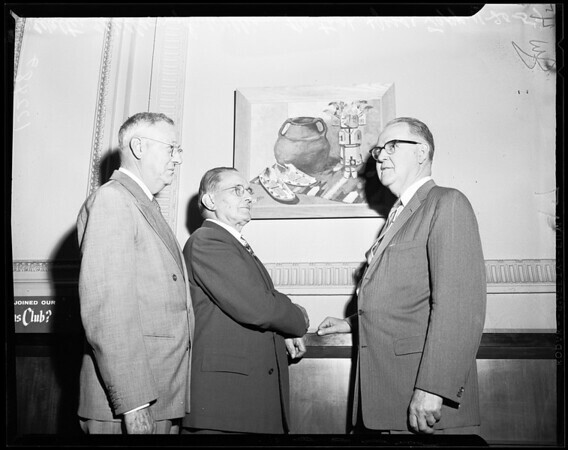 47-48: L-R: With picture by entertainer Jack Bailey: Walter Willson, Dr. Wm. Bartosh (both officials of Businessmen's Art Institute) & JEsse W. Tapp, Board chairman, Bank of America".